Hello good people!!! Trust you had a GREAT holiday! Happy Eid to all our Muslim friends and family. The LOOOONG weekend was a truly welcome one - though I must confess I did not do much resting. I worked right through - thanks to our clothing factory. It has been extremely overwhelming but I so cannot complain. At least the designers we have produced for are happy with our work and for that I am thankful! Yes yes! We were in the studio on Friday again! Yaye! I love being in the studio! The 2 anchors are hilarious and it has been great fun so far! 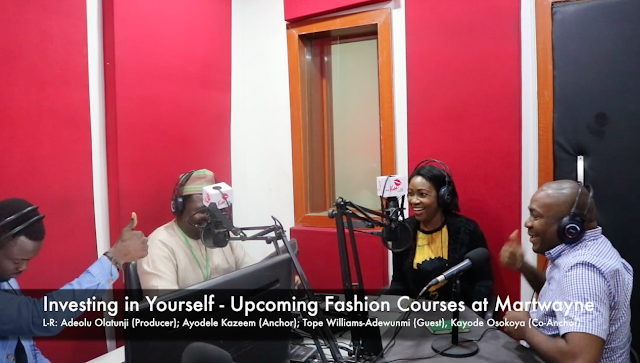 This time we were talking about investing in yourself and of course about our Fashion Courses! We all know education is the best form of investment and we have some juicy courses coming up! Of course, as we do best, we also did a bit of education because you know, we are teachers at heart! - Short Course in Childrenswear - starts 27 August! We are on again this Friday! 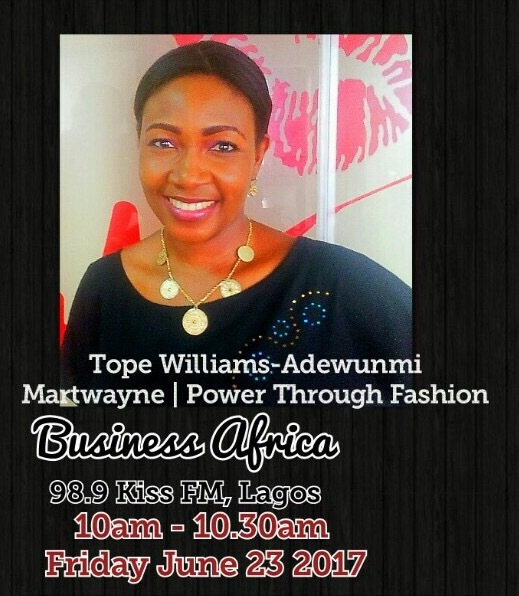 Don't forget to tune in to 98.9 Kiss FM Lagos. And internet permitting, we will be live on Instagram, @martwayne, again as well. It was my first live video and I think it went really well. Hopefully the internet will behave on Friday as well!